Take your choice. 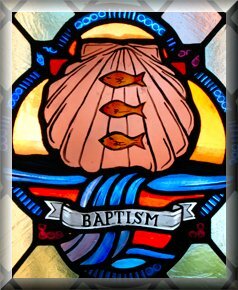 You have the option of celebrating the feast of Sts. Philip and James with the Mass "Clamaverunt"if you did not celebrate it on May 1 day. If you did celebrate it then, today you would celebrate the Mass Viri, Galilaei Within the Octave of the Ascension. This is the Second Day of the Novena to the Holy Ghost, the oldest approved Novena in the Church. Today featuring Fear of the Lord. 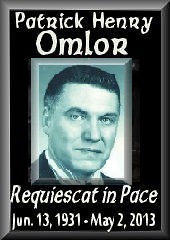 We ask you to remember Patrick Henry Omlor in your prayers along with the rest of the faithful departed. We also encourage you to offer your own personal condolences on the family's Guest Book. Réquiem ætérnam dona ei, Dómine: et lux perpétua lúceat ei. 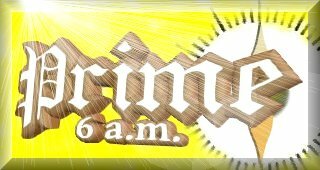 Ánima ejus, et ánimæ ómnium fidélium defunctórum per misericórdiam Dei requiéscant in pace. Amen. The flower offered today in building up a spiritual bouquet to Mary, Queen of the Apostles is the Pink Rose for it is so symbolic of Prayer in presenting Pink Roses for a Pure Lady who will intercede so lovingly, especially when we pray her Holy Rosary daily along with The Fatima Prayers and the Litany of the Blessed Virgin Mary. During her month we can also receive efficacious graces by praying the devotion known as The Little Crown of the Twelve Stars of the Blessed Virgin Mary. In order to keep this in front of you that we truly are in need, we will keep this on until we can reach our necessary goal. We are so grateful for all the prayers which have helped Michael slowly recover from a terrible bout with fungal bronchitis. His strength and stamina are returning...slowly. To those who were able to send donations, we offer our humble thanks. This is a very difficult time for just about everyone. Taxes have been raised, Social Security has been downsized, and many things that were tax-deductible no longer are. 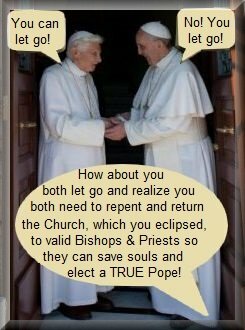 Fortunately, for those who can donate to SANCTUS/DailyCatholic, it is still tax-deductible as a bonafide 501c(3) with the tax-exempt ID 58-1976694. Michael's illness has left us in quite a bind. His insurance did not cover everything, and we are faced with two bills in particular that total $1550, which must be paid in full by May 15th. 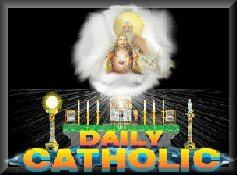 We can only ask for your help once again, and this time may those who have never donated, realize that if each person who reads the DailyCatholic, whether every day, or once a week, could send just one dollar ($1), we would be able to pay our just debts, and keep the DailyCatholic going for a very long time. What we do not understand is why so many fail to send just that dollar? If that is too much, then send whatever change you have lying around. Though the postage might be a bit much to send coins, we've found in the past if we save our change throughout the year, once it has built up, we slip it into a machine that sorts and counts it, and takes a bit off the top. You'd be surprised how much a person can acquire while saving change. Would you be adverse to tithing 10% of that? We've passed into the glorious mysteries now. 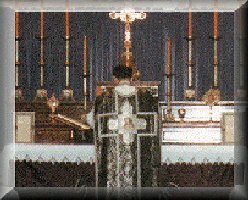 It would be so glorious if ALL who read the DailyCatholic would search the heart of their soul, and respond to our plea. It is devastating to us to have to ask when things get tough like this or unforeseen bills crop up that are beyond our control, and it hurts when it is the same few who are always there to help financially. 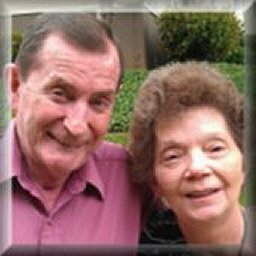 Without your help, Michael's health will take much longer to recover completely, and knowing that bill is due in May does keep both of us awake at nights, as we pray together, trusting in God that He will touch your hearts and you will respond in kind with an infusion of funds. 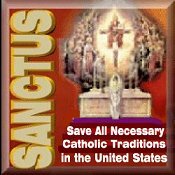 It is difficult to do our part to Save All Necessary Catholic Traditions in the United States (SANCTUS), as well as the world, when there is so little coming in. 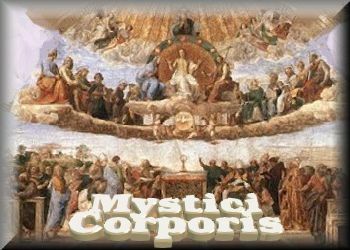 Let us pray together the glorious mysteries of the Holy Rosary, and with each bead may you spare whatever you can for this traditional apostolate. It does not go to waste, nor has it ever been used in an unworthy manner for worldly things. All we ask is that everyone pitches in this time. With Hope in our hearts, we await your reply and look forward to knowing the names of new generous readers for whom we assure you we will pray daily as we have for those who have contributed in the past. We have devoted our lives to this traditional mission to save souls and, while we have great hope and faith in God's providence, we count on you temporally as our only hope. For He Whom thou was made worthy to bear. Alleluia. Hath risen as He said. Alleluia. 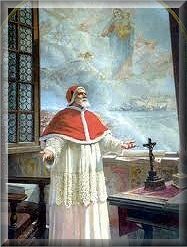 Pray for us to our God. Alleluia. V. Rejoice and be glad, O Virgin Mary. Alleluia. R. For the Lord hath risen indeed. Alleluia. Let us pray. O God, Who through the resurrection of Thy Son, Our Lord Jesus Christ, hast vouchsafed to make glad the whole world, grant us, we beseech Thee, that, through the intercession of the Virgin Mary, His Mother, we may attain the joys of eternal life. Through the same Christ our Lord. Amen. Quia quem meruisti portare. Alleluia. V. Gaude et laetare, virgo Maria. Alleluia. R. Quia surrexit Dominus vere. Alleluia. Oremus. Deus, qui per resurrectionem Filii tui, Domini nostri Iesu Christi, mundum laetificare dignatus es: praesta, quaesumus; ut, per eius Genetricem Virginem Mariam, perpetuae capiamus gaudia vitae. Per eundem Christum Dominum nostrum. Amen. Each day we feature a title and/or salutation to Our Lady in celebration of Mary's month of May and today we honor her as Queen of Apostles in recognizing the feast of Sts. 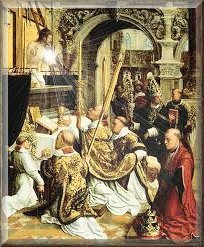 Philip and James the Lesser, a feast established by Pope Pius XII transferred from May 1. In many traditional chapels where they still observe May 1 as the feast of these two Apostles, today is recognized as a ferial day. 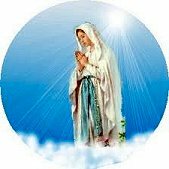 Whichever, all are encouraged to pray daily the Holy Rosary andcontemplate on the magnificent titles she is known by in the Litany of the Blessed Virgin Mary and The Fatima Prayers. Each day we feature a title and/or salutation to Our Lady in celebration of Mary's month of May and today we honor her as Virgin most merciful and we pray that she, along with her divine Son, will be merciful in the face of the antipathy of her children and the all-out revolution against God and His Laws. That is why it is so important for the faithful few to pray without ceasing, especially her Holy Rosary and contemplate on the magnificent titles she is known by in the Litany of the Blessed Virgin Mary and The Fatima Prayers. Each day we feature a title and/or salutation to Our Lady in celebration of Mary's month of May and today, on the glorious Ascension of her divine Son into Heaven, we honor Mary with the title of House of God for she was the tabernacle for the most valuable person who ever lived and now He was returning to the Father at the true House of Gold and House of God, but Mary knew her work was not yet done and neither is ours. Let's help that labor by daily praying the Holy Rosary and the Litany of the Blessed Virgin Mary and The Fatima Prayers. Each day we feature a title and/or salutation to Our Lady in celebration of Mary's month of May and today we honor her as Queen of Angels to commemorate this feast of the Apparition of St. Michael the Archangel. When Mary was assumed into Heaven she was crowned Queen of Heaven, ruling over both angels and saints, and it was St. Michael who first appeared to the children at Fatima preceding her appearances there in which she encouraged all to pray daily her Holy Rosary and the Litany of the Blessed Virgin Mary and The Fatima Prayers. 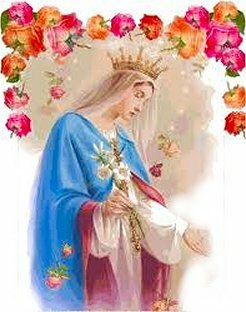 Each day we feature a title and/or salutation to Our Lady in celebration of Mary's month of May. Keep in mind that through Mary we are more resolute in cooperating with her divine Son in all things for she is the Gate of Heaven. Now let's all thank her by praying daily her Holy Rosary and the Litany of the Blessed Virgin Mary and The Fatima Prayers. Each day we shall feature a title and salutation to Our Lady in celebration of Mary's month of May for she is truly the Spiritual Vessle. We encourage all to pray daily the Holy Rosary and the Litany of the Blessed Virgin Mary and The Fatima Prayers. Each day we shall feature a title and salutation to Our Lady in celebration of Mary's month of May for she is truly the Mother of Divine Grace. We encourage all to pray daily the Holy Rosary and the Litany of the Blessed Virgin Mary and The Fatima Prayers. We will keep you abreast of funeral arrangements for Patrick Henry Omlor in Perth, Australia. At last word traditional priest Fr. Julian Gilchrist, a dedicated true priest whose mission is all of Australia and New Zealand, will officiate Patrick's Requiem but it may not be for another week or so. Patrick passed away on Thursday morning at the age of 81 on the feast of St. Athanasius. 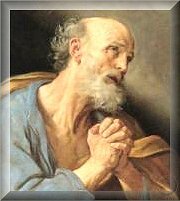 Patrick, our modern-day apostle of Tradition had been adminstered the Sacrament of Extreme Unction and, true to his devotion to St. Joseph, had a happy death. Patrick was married to Mary Victoria for 57 years and they are the exemplary of a good Catholic family, sirering seven sons and three daughters. 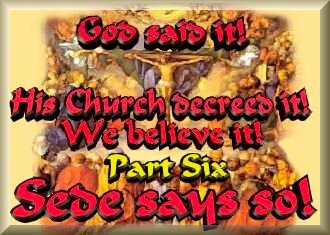 He was one of the first laymen to recognize that something was seriously wrong with what was going on at the Second Vatican Council and so, instead of just going on blind obedience and going along with the vast majority of sheeple, he began researching the causes and effects and exposing the Robber Barons who were undermining the very foundation of Christ's Church. He shared this with the world in his signature work "The Robber Church" and Questioning the Validity of the Masses Using The New All-English Canon. In June 2005 Patrick was inducted into the Tower of Trent Hall of Honor and we share this with you again, updating it as a tribute to this giant of the traditional movement with Trailblazer for Truth and Tradition.